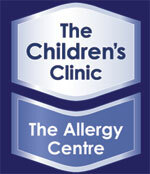 Consultations: The Childrens Clinic is located in Christchurch, New Zealand. Seeing Dr Ford is like having 3 specialists in the room at the same time. He is a paediatrician, gastroenterologist and allergist. We offer paediatric (specialist child health) consultations for general paediatrics, allergy investigation, food allergy & intolerance and gastroenterology. Your consultation would include you telling us your full case history, a physical examination, growth measurement assessment, skin prick tests for allergies (if required), blood tests and interpretation (if required), and your health management plan developed and discussed. Dr Rodney Ford is a children’s doctor (a paediatrician). Seeing Dr Ford is like having 3 specialists in the room at the same time. He is a paediatrician, gastroenterologist and allergist. He can help you with: general paediatric (child) consultations, bowel troubles, growth problems, gastric reflux (GORD), constipation, chronic abdominal pain, eczema diagnosis and management, hives, urticaria, feeding problems, food fights, investigating food allergy, respiratory allergy, gluten problems, food reactions, behaviour problems. We offer a full Paediatric specialist service for most Child Health problems. Note that Dr Ford is not a Southern Cross “Affiliate Provider”. Management plan developed and discussed. If we, at the Clinic have to cancel your appointment you will get a full refund. If you cancel your appointment 3 days prior to your appointment you will get a full refund upon request. If you fail to attend your appointment no refund is given. 3 days notice is required to change your appointment. This can be done by clicking on the link at the bottom of the confirmation page where you can change the time or you can email the Clinic. No refunds are given if a cancellation is made 48 hours prior to the appointment. All appointments are to be paid in full at the time of booking. We have a policy about missed appointments. If a patient fails to attend without giving at least 48 hours notice, then a charge for the full appointment fee will be made (unless this appointment slot can be filled). You can change your appointment time on-line. All appointment times are valuable and scarce. We have a high demand for appointments. When someone fails to arrive, this means that someone else will miss out on being seen. As a reminder, you will receive an email 2 days prior to your appointment time.